Becoming literate can change the lives of women in the developing world. Newfound skills in reading, writing and calculations give women the opportunity to take control over their own lives. They can start small businesses and are able to make correct change and keep track of customers who take credit. They are able to correspond with relatives in letters and text messages. They are able to read directions on their children’s medications. But the change doesn’t stop there. Confidence and power come with literacy. And the women of Latyr village in Senegal have used this newfound confidence and power to make changes which are having positive effects on their entire community. With each buildOn Adult Literacy program, participants create projects called Village Initiatives which can either be income generating activities or projects which will help transform the village. In Latyr’s Adult Literacy program, the class of 78 participants (90 percent of whom are women), identified their children’s lack of school supplies as a real need in their community. Every year, children were starting school late due to a lack of pens and exercise books. 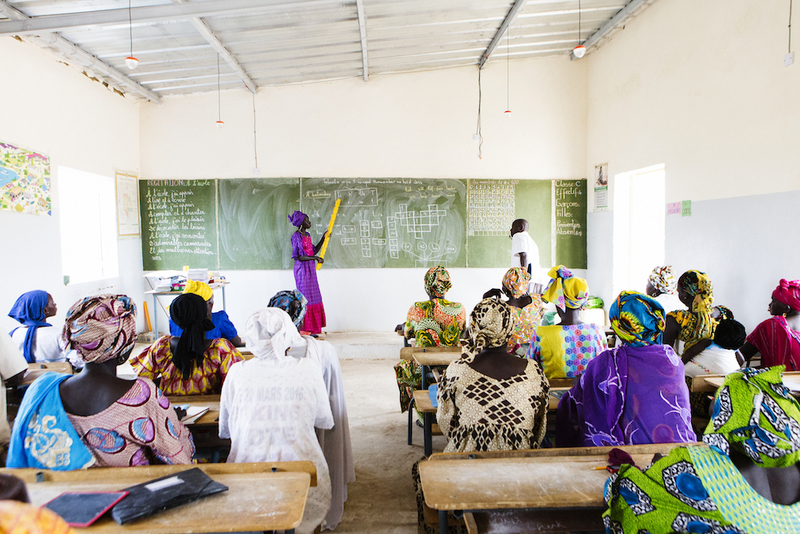 The school year in Senegal begins in October and coincides with the end of the harvest season. 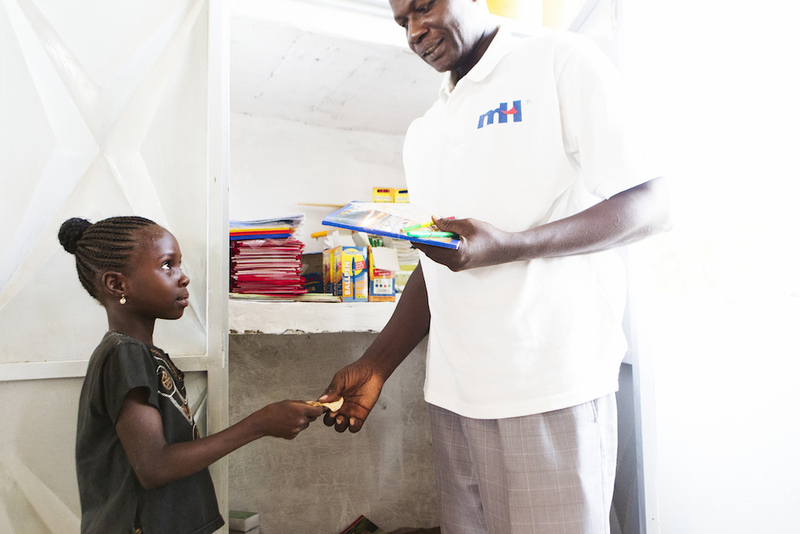 Typically, families have not harvested and sold crops in time to buy the necessary school supplies for their children. As a result, many of them start school without supplies and some of them stay at home until their parents can buy supplies. In order to generate income to purchase school supplies, the women decided to take action in a way that might seem unlikely to some—by making soap. The women of Latyr village, who were realizing the power of education through their own classes, knew that it was vital that the children of their community start the school year on time. In order to generate income to purchase school supplies, the women decided to take action in a way that might seem unlikely to some—by making soap. By selling the soap in their own village as well as in neighboring villages, the women of Latyr were able to make CFA 117,000 or around US$200. But the women of Latyr didn’t stop there. They decided to use the money to set up a school supplies store in Latyr in advance of the 2016-2017 school year. The women of the Adult Literacy program worked together as a team to determine how they wanted to set up their store. First, they identified the products which would sell the best. They purchased pencils, pens, colored pencils, protractors, compasses and notebooks. Next, they did some market research to determine what the best price would be for their products. As an example, they saw that notebooks in town were selling for CFA 500 ($0.85). In addition to the cost of the notebook, parents had to make the trip into town which cost them both time and money. In order to help the children in the village, the women decided to sell their notebooks 25 percent cheaper than what they would cost in town. They settled on a selling price of CFA 400 ($0.68). 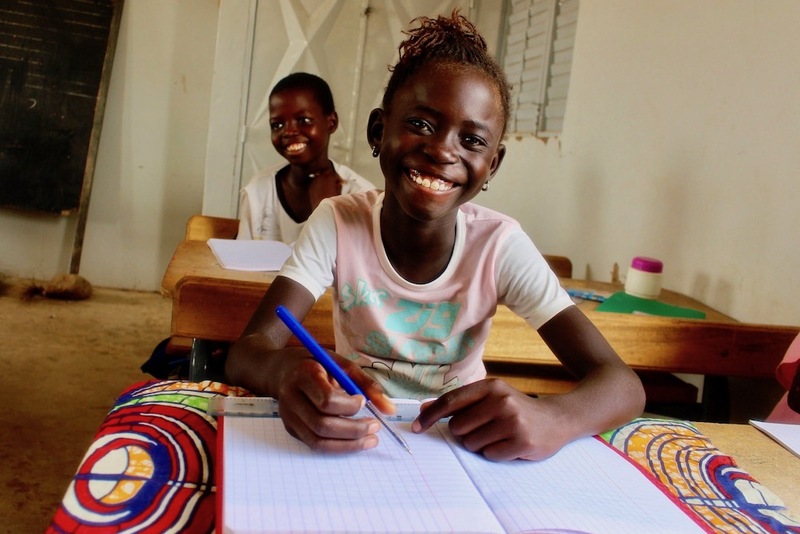 They still earned CFA 130 ($0.22) on each notebook, and parents in the village now had less expensive school supplies available for purchase right at the school. All of the money earned from the sale of school supplies is donated back to the school. Since the store is right at the school and most of the customers are parents from the village and surrounding villages, they also decided to offer credit. This allowed parents to get school supplies for their children at the beginning of the school year even if they had not yet sold their excess crops. The women of the Latyr’s Adult Literacy program keep careful records of the sale of school supplies. This is a skill they did not have before starting literacy classes. None of them were able to read, write or make basic calculations. All of the money earned from the sale of school supplies is donated back to the school. Above: A student puts her new school supplies to use inside a buildOn classroom in Latyr. All of the money made from selling school supplies is donated back to the school. In addition to the school store, the women wanted access to capital to start and grow their own small businesses. With some seed money from buildOn, the women started their own group savings and loan program. They have already made 79 loans from the program for women to engage in small commerce such as buying and selling chickens, peanuts, beans, vegetables, fish, tea and sugar. 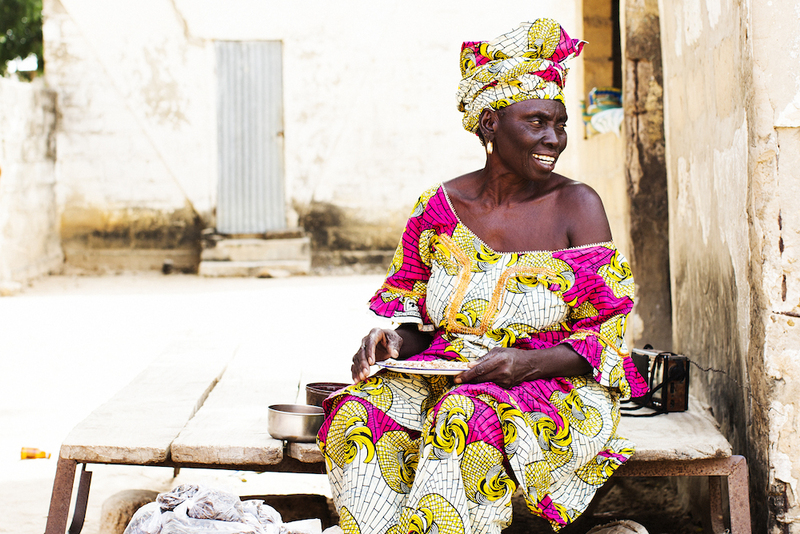 This loan program, which is managed entirely by the women in the Adult Literacy program, has made a big difference for 63-year-old Ami Ndiaye. Before the literacy program she had never gone to school. She is proud to now know how to read and write in her native language Serer and do calculations which helped her sell shellfish. Ami put a lot of thought into what product she could sell in the village and took advantage of a trip to a village near Gambia for a wedding to buy shellfish. It is not available anywhere near Latyr, and she thought her product would stand out from others in the village. Her business is going well.